When the sub zero temperatures start to set in, we all look forward to a warm, cozy home where we can put up our feet and relax. But what if your furnace is heading toward the great white light? Like many appliances, how long a furnace will last depends a great deal on the extent of its use, and the last thing you want to deal with is a furnace breaking down when the harshest winter temperatures hit. The majority of homeowners are not completely aware of their furnace’s age, the extent of its use, or how long a furnace lasts. What are the signs your furnace may need replacing? This post walks you through what you need to know. The average lifespan of a gas furnace is approximately 15-20 years. This doesn’t mean that a 15-year-old model should be scrapped tomorrow, but it does give you an idea of the amount of service the furnace has behind it and a better indication of whether replacement is a better option than repair in the future. If you are unaware of the age of your furnace, you can find the manufacturer serial number on the inside of the furnace cover. Simply note the number and contact a heating professional to get a manufacturing date. If you discover that you are approaching or past the 15-year mark and have put a significant amount of repair into your furnace already, it may be time to consider replacement. 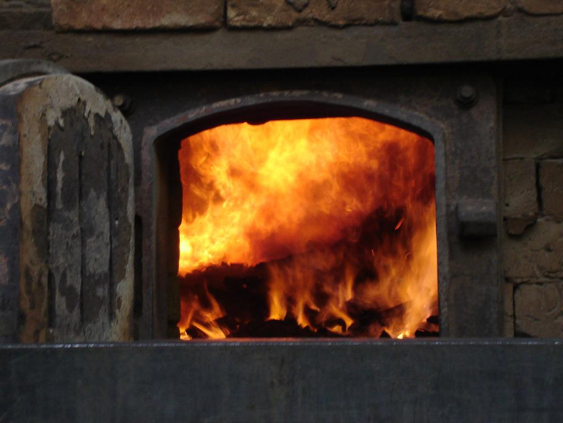 What Does the Age of Your Furnace Mean? Understanding the age of your furnace is important in making proper judgements in handling issues your furnace may have, but the sheer age of your system does not indicate a need for replacement alone. If you have a 20-year-old furnace that still works well, you have a superior model that will most likely hold strong. However, there are still some things to keep in mind. No matter the age of your furnace, regular maintenance by a professional is guaranteed to keep it working in the best condition possible. Your air filters will be kept clean, ventilation and fan systems will be inspected, and repairs will be addressed before they become serious. If you have a long withstanding furnace that does end up needing replacement, you may want to invest in the same or similar model that is simply more updated. A sturdy, reliable furnace model is going to be the best investment for your heating system — and in Minnesota, it’s worth it. My Furnace Needs Replacing. Now What? If your furnace has been inspected, repaired, inspected again, and simply won’t work the way it needs to, it’s time for a new one. Where do you start? As mentioned, if you have a model that has proven itself to be durable over time, consider a newer version of the same model. While the upfront investment may seem high, newer versions of furnaces have a lot of perks in comparison to their older counterparts. Modern furnace models are built with an annualized fuel utilization efficiency (AFUE) rating that represents the efficiency of each model. This represents how much heat the furnace can create versus how much is lost in the combustion process. A standard gas furnace will have a rating of 80% or higher, with some top of the line units maintaining a rating of up to 98%. The higher the efficiency, the lower your heating costs. If your furnace has seen better days and you’re unsure of what your next steps should be, contact the experts at Sedgwick Heating. We’ll help you understand the current efficiency of your furnace and find an affordable model should you need replacement. Let us give you comfort you can count on today!